More than the age of the advice giver, I think the Great Recession of ten years ago had a clear impact on the advice provided by all lawyers of any age. The combination of the huge impact of the decreased demand for legal services, along with fears about increasing automation in the industry led seemingly all lawyers to advise the young to pursue other careers, which was reflected in declining applications to law schools. This decline has reversed recently, but it’s probably too soon to know whether the blanket gloominess about the profession will lift. In recent years, I’ve identified among the attorneys of my age cohort a general mindset, which I do not share, to the effect that young lawyers today don’t understand the meaning of sacrifice and simply aren’t willing to work as hard as we did when we were young lads and lasses. Maybe it’s a function of my being away from big firms for a while and therefore interacting less with very junior attorneys, but I think that younger lawyers today are simply less willing to put up with crap and are less awed by those who supervise them. Good for them, in my view. If we old folks have to make a little more effort to show respect and consideration to those starting out, that’s a positive development in my book. However, as tempting as it may be to simply tune us geezers out, contrary to Nussbaum’s description of the changed landscape of journalism, I don’t think the basic structure and career path for lawyers has appreciably changed. 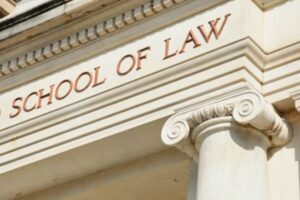 In 1999 as well as 2019, if you want to be a corporate attorney, you should spend at least a few years in a large firm for training; if you want to be a criminal defense lawyer, spending time as a prosecutor or in Legal Aid is helpful for trial experience; getting an LLM in Tax is useful for being a tax attorney, etc. All of which is a long way of saying that I think it’s worthwhile for aspiring lawyers to seek guidance from us elders, who have picked up some wisdom along the way.